Dance and music combined with scents, flavors and colors have created a unique event under the starry sky of the Pula Arena: a unique blend of the sensational performance of more than fifty Lado Ensemble artists, each tone and movement harmonized with the perfection and vineyard creations of the Lord Krauthakera is a memorable experience. This time, Vlado used an ideal companion of light fruit desserts - mueskat - and of three varieties (masculine yellow, muscat ottonel and white mule) with a method of producing Julia, a fresh sparkling wine with 11% alcohol, ideal for summer that may be returned to town . Julija is elegant - just what the heck is - a nice pearl with a pronounced scent of mascara. The remainder of the unleavened sugar Julia gives extra fullness and roundness, and the modern design of the bottle and the minimalist label perfectly reflect the unique harmony of this sparkling wine. 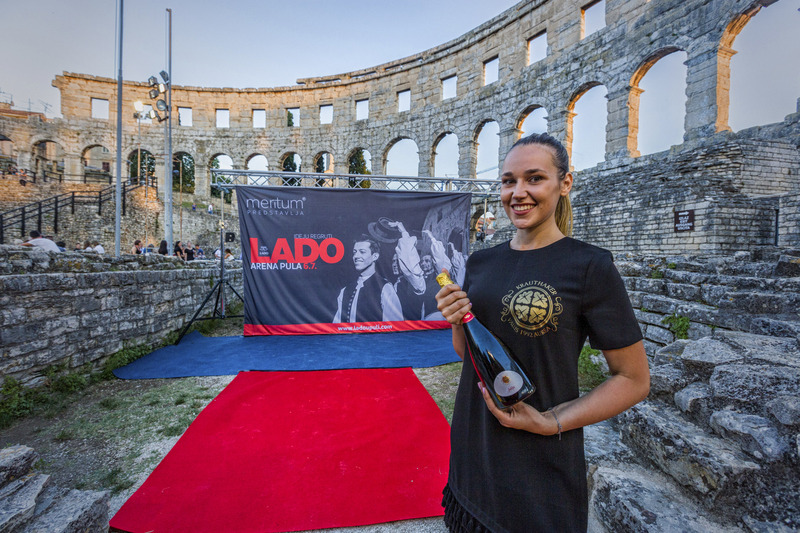 Watchers of Lado's Ensemble Program Idea recruits they could try elegant and modern Krauthaker Graševin late harvest 2017wine, which, in principle, requires time in the bottle for development. The wine Vlado says may be drinkable alone, with a talk, or with a less sweet fruit cake on the nose is fresh and sweet, complex and the scent remains for a long time. Bouquet is characterized by ripe freshly wicked hazel and south, white and yellow fruit with herbs, light flowers, honey notes, noble mold. The taste is sweet, thanks to its salty and good acidity and alive, somewhat syrupy, rounded, warm, fruity finish, slightly spicy in the direction of sweet mirodies, and as the smell, it lasts for a long time. Complicated but harmoniously and dynamically with well-marked fruitiness, and the appearance of an attractive shiny straw-yellow color with a greenish shade simply invites you to try it. 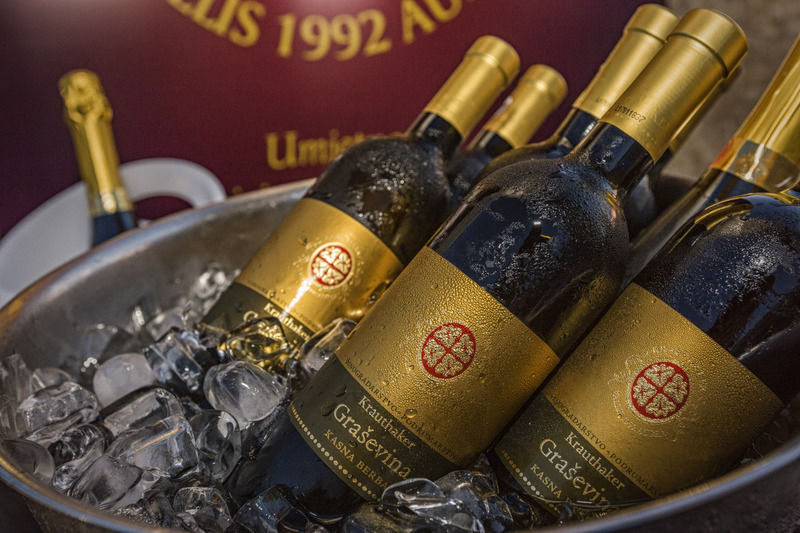 Visitors also enjoyed wine Krauthaker Graševina Vidim 2017, which was rewarded with gold at this year's Grass Festival and Decanter Bronze. Top quality dry wine produced from autochthonous grape varieties from microlocation I see one more adorable Krauthaker winery for everyone who likes dry and tasty wine.